Steps are the marmite of the pop world, with people either loving and adoring them, or utterly despising them. Originally conceived as a techno-dance group, that fell by the wayside after their first single, 5-6-7-8, Steps‘ sound was then replaced with a fresher more Abbaesque-type sound, and indeed, they often drew comparisons to the 70s super-group for their vocals and arrangements (obviously they didn’t write their own songs however). 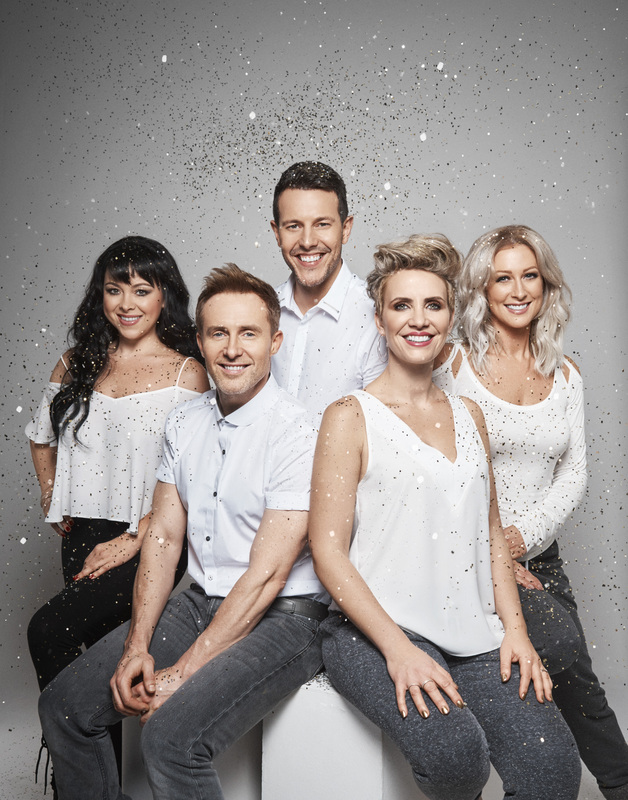 As is usually the case, in-band tensions and jealousies led to a split, but now older and wiser, and perhaps more reflective and appreciative of their back catalogue, Steps are back together for the second time (the first was documented on a reality TV show back in 2011) and celebrating their 20th anniversary. Hot on the heels of the release of a new album, Tears on the Dancefloor, earlier this year, they announced their Party on the Dancefloor tour, and judging by the amount of glitter and glowsticks that attendees were donning for this concert, it seemed that the audience were taking the tour title quite literally. They were not to be disappointed. After a surprisingly rousing set from The Vengaboys (who had far more hits that I actually recalled) the quintet made their entrance in spectacular fashion, with dazzling lighting and video effects, and an actual flaming-torch procession (not something you see every day at a gig). From the first notes of their comeback hit Scared of the Dark, the audience were on their feet, despite the fact that this was a fully-seated event. There was a phenomenal energy in the arena, and the crowd greeted the group like old friends. From the opening salvo, the pace rarely dropped. Always known for their visually impressive shows, the band have gone all-out on this tour. Their production team must have worked overtime on the staging, which was completely stunning. They bombarded the crowd with their hits, including Last Thing On My Mind, Chain Reaction, One for Sorrow and Deeper Shade of Blue. Throughout the songs, all the cheesy choreography was in place, and the crowd duly danced along, with many of them knowing every move. Steps were also ably backed by a fantastic group of dancers, who only added to the energy. The music only stopped to allow them to engage with the audience on occasion, where they gushed about how much they appreciated their fans (naturally) and shamelessly plugged their latest album. But the crowd didn’t seem to mind this, with the cheers indicating many already own it. At one point, Ian ‘H’ Watkins even stopped the show to take a selfie with the crowd in the background, much to everyone’s delight. By the time they reached their encore number, Tragedy, the arena was literally hopping, and not just with the 30 and 40-somethings you would expect. It seems Steps also have a whole new generation of younger fans, who were delighting in the gig also. By the end of the evening, everyone felt like they had been at a nonstop party. Steps may not be to your taste, but in terms of a production, this is difficult to fault. Technically it was perfect, visually it was stunning, and their vocals were spot on. The crowd left feeling extremely entertained, which is the purpose of a show like this, and even the merchandise was reasonably priced. How you feel about the music is a different matter, but in terms of seeing a great show, and getting bang for your entertainment buck, Steps definitely delivered. Steps were performing at the 3Arena, North Wall Quay, Dublin Docklands, on Monday November 13th 2017.